DETROIT - For the second straight game, the Detroit Pistons had a big third-quarter lead at home. This time, they kept pouring it on. Andre Drummond scored 14 of his season-high 27 points in the third and the Pistons snapped Denver’s six-game winning streak, beating the Nuggets 129-103 on Monday night. 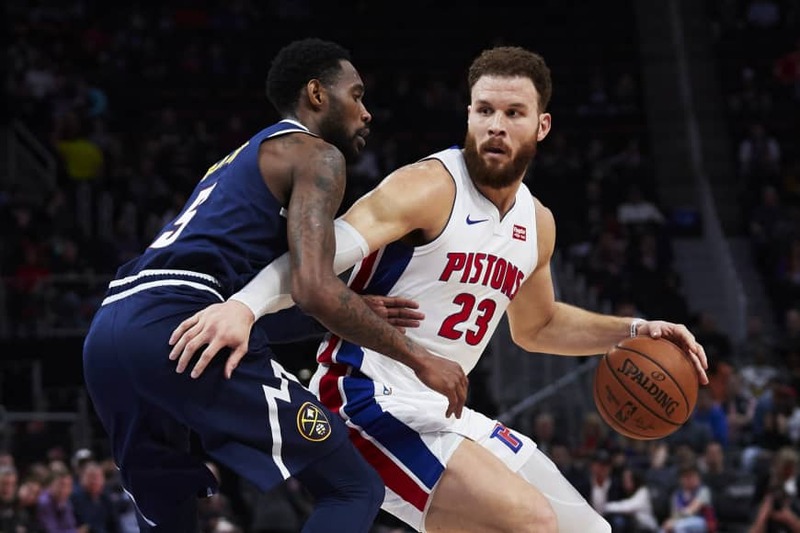 Detroit blew a 25-point lead in a loss to the Los Angeles Clippers on Saturday, but the Pistons never allowed Denver to make much of a run in the second half. Blake Griffin added 17 points for Detroit, and Reggie Jackson scored 14. Trey Lyles had 20 points for the Nuggets, who dropped out of a tie with Golden State for the best record in the Western Conference. Denver was without forward Paul Millsap, sidelined by right ankle soreness, and the Nuggets (37-16) were also missing Gary Harris (right adductor strain) and Jamal Murray (left ankle sprain). Denver looked sharp early, scoring 36 points in the first quarter, but the Nuggets managed only 19 in the second and trailed 68-55 at halftime. 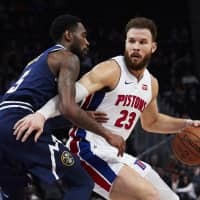 The Pistons reserves, outscored 80-17 in the loss to the Clippers, came through with 60 points against the Nuggets, Detroit’s bench players expanding the lead to start both the second and fourth quarters. They helped make the difference on a night when all five Nuggets starters scored in double figures, led by Monte Morris’ 18 points. Nevertheless, Denver saw its six-game win streak snapped and dropped out of a tie with the Golden State Warriors for first place in the Western Conference. Nuggets coach Michael Malone had a different perspective after the game. Drummond’s work was done after three quarters. None of the Pistons’ starters played in the fourth, and the backups extended the lead. Detroit’s collapse against the Clippers began toward the end of the third, but that didn’t happen this time. The Pistons were up 97-83 after three. Stanley Johnson then opened the fourth with a three-point play and a 3-pointer, and Luke Kennard added a 3 of his own to push the lead to 23. In Phoenix, Houston’s James Harden scored 44 points and joined Wilt Chamberlain, Michael Jordan and Rick Barry as the only players with 20 games of at least 40 points in the first 50 of a season. Josh Jackson scored 25 points, Kelly Oubre Jr. 23 and Devin Booker 19 for the Suns.